In this hot market, if you are trying to buy, getting a home under contract takes hard work, great strategy and, often, a bit of luck. Inventory remains low and demand far exceeds supply. Yet, I sense that more contracts then ever are falling apart before they get to settlement. How can that be? Well, some of the reasons are specific to this market but others surface in any market. Lets go through each. Lenders come in all shapes and sizes. One end, are the big banks full of bureaucracy and wary of regulators looking into their practices. On the other are local lenders with in house underwriting that can use common sense when an issue doesn’t completely fit into an airtight box. And in between are brokers and online companies. In all of these, there are great loan originators and also some that over promise or have a plan that involves taking as many applications as possible and seeing who sticks – playing the numbers. Let me give two recent examples where I was on the listing side and the other side got messy. First was a home sold for $800,000 and the buyer was putting down almost half. The appraisal came in low as happens when market forces are ahead of appraisers. The lender told the buyer they would need to put more down to make the deal work. Well, with a low appraisal, the only time you need to increase your down payment is if the loan to value drops to 80% or less. When you put 50% down, the appraisal is a formality as far as loan approval is concerned. Of course a buyer would be concerned about a low appraisal and has remedies per the contract but the lender can proceed under the same terms with a huge downpayment. I called the lender to see if I could get an understanding of what was going on. (The buyer was unrepresented.) In an effort to “protect” the buyer they would not speak with me. I wasn’t asking specifics about the buyer just what loan program required an additional down payment in this situation. By knowing the parameters of the loan program – not the buyer but the program – I could work toward a solution for this nervous buyer. There there was another silly thing they did regarding an extra inspecton that in essence caused the buyer to go to another lender and delay settlement for about a month. It is really, really hard to mess up a loan with a well qualified borrower putting down 50% but they managed to do it by not creating working relationships with all parties involved. Second, there are situations where lenders either hide a problem or think they can fix it or simply are too naive to know there is an issue. Recently I had a case that blew up the day before settlement due to an issue that should have been known as soon as the buyer’s credit report was run. A buyer can not have 2 FHA loans on homes close to each other. This buyer did and why the loan officer waited until a day before settlement when the underwriter rejected loan to let everyone know is beyond me. What to do? Personally, I think the best type of lender is a local company with in house underwriting. Yes, I have had delays and cancellations with those companies but I find most of my settlement delays are from the big national companies or online companies or brokers who do not control the underwriting. Every agent has a few “go to” lenders. They are not on that list because the agent gets a referral fee – that is actually illegal. They are on the list because they get the job done. Furthermore, their business is built on Realtor referrals. To the big institutions and online folks you are one and done. To the Realtor’s recommended lender, you are one loan but the lender knows if they do a good job, that Realtor will send them more business and if they blow up the deal, well….. I remember early in my career; I sometimes did not get a client because they thought I was too “nice.” They wanted someone who would push or strong arm the other side. Real estate is not like a sporting event or the law where there is a clear winner and loser. My goal is to advocate for my side and tip the scales in our favor but I let my clients know there is no such thing as a perfect house and no such thing as a perfect deal. Second, buying and selling real estate is not like buying or selling a car or other consumer product. In those situations, negotiating the terms of the sale is done in a relatively tight time frame. When an agreement is reached, the buyer takes the product and leaves. 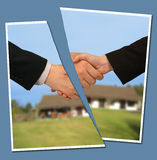 In real estate, there is a long way between contract and settlement. Many things can happen that need further negotiation. Setting an adversarial tone early on jeopardizes the transaction later on. A Realtor needs to remember they work for the client and they must advocate for them but there is way to do that strongly and firmly that does not involve bullying or antagonizing the other side. I’ve seen too many deals fall apart because the agent ticked off one of the principals with their comments or actions. Not as frequent but on the other side, I’ve seen agents who are way too passive. They are basically order takers and will not have honest and frank conversations with their clients. A client with unreasonable expectations walks over them and causes an otherwise fair deal to fall apart. What to do? When you are interviewing your agent, ask them about their negotiating style. Most importantly, I would want an agent who can put their ego aside. It is about making the deal work favorably for you, not about the agent winning or looking good. If a win for my client means I look weak to the other side, I am fine with that. I got what I needed for my side and that is all that matters. When I have an overly aggressive or overly passive agent, I know what I need to do to keep the transaction moving forward. Often I can move them to our side but if I fought aggression with aggression or didn’t give the passive agent ideas on how to work their side, the deal would fall apart. Number 2 – Buyer Cold Feet. I wasn’t sure if this was number 1 or number 2 but since it applies more to our current market, I made it number 2. Number 1 applies in all markets. When there is a shortage of inventory and a surplus of buyers, multiple contracts abound. Buyers start to lose out on property after property and get overly aggressive with offers. Sometimes in the heat of the battle they do things that they come to regret. For example, I recently had a home receive 10 contracts. All but one had a home inspection contingency and almost all were way over asking. The one without the home inspection was not the highest price but close. We decided to go with that one because it looked like the easiest path to settlement. (Often when buyers go way over asking with a home inspection, they use the home inspection to renegotiate the price) But when I called the agent to let them know they won, we found out that the buyers changed their mind and wanted an inspection. We then moved to the highest priced offer. I have had others this year where the buyer, after ratification, got cold feet after the inspection and/or used the HOA docs to back out. In all of those cases, we had received multiple contracts. We quietly slipped from contract 1 to contract 2 and went to settlement. What to do? If you have multiple contracts and have a few that are close on terms, see if you can get an understanding of the buyer’s motivation. If you hear that they have lost out on several homes or they have an expiring lease or their home is under contract or there is a time sensitive family situation that is motivating them to move (getting in a school district before school starts or a new baby on the way) perhaps they are more likely to stick with the deal. If that expectation is set with a buyer, chances of working through home inspection issues increase. But more than once, I have had agents submit inspection repair requests that ask the seller to address everything the home inspector found. That is not how this works. Whether that is an an overly aggressive agent or a passive agent or an agent with an unreasonable client, I don’t always know. But I do know that is one way to kill a deal. On the seller side, a listing agent needs to let a seller know what is reasonable and unreasonable. There needs to be a discussion of alternatives if they reject the buyer’s request. Will the next buyer have the same issues in their inspection? Sometimes sellers say, “it has always been that way.” And while that may be true, a buyer doesn’t need to nor should they expect to live with the peculiarities of the home that seller came to see as normal. What to do? Here there is not much you can do. You need to hope that the agent on the other side has set reasonable expectations. And you need to be reasonable yourself. A good Realtor can guide you, as a buyer, on how to structure a reasonable response to the inspection report that will get you more than you would get if you threw everything at the seller. And on the selling side, a good Realtor can help you understand what you would be likely to see on another report if you let this deal go. That said, sometimes it is best to let a deal fail because parties are being unreasonable. As mentioned, it is a long way from contract to settlement. It is always better to blow up a deal earlier than later. In summary, there will always be good lenders and bad lenders, great Realtors and difficult ones. We can’t choose who is going to be on the other side of the table but we can work on our side to develop creative slolutions that are fair to all parties. At the same time, sometimes it just isn’t going to work and it is best to move on. ← The Best Month To Sell Or Buy A Home Is……..